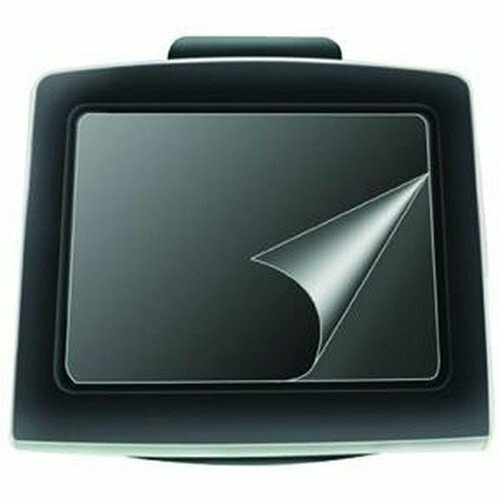 Protects your GPS screen from harmful scratches. 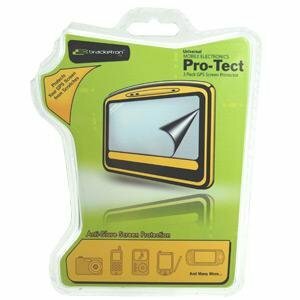 Now you can protect the sensitive screen on your GPS and other electronic devices with Pro-Tect. 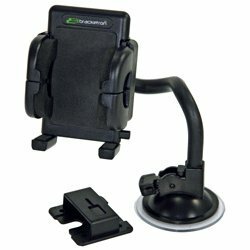 Pro-Tect features a universal design that can be cut to fit most GPS brands including Garmin, Magellan and TomTom plus many other electronic devices. Highly transparent Pro-Tect screen protector is virtually invisible and won’t affect touch screen sensitivity. Includes a 1 year warranty. Universal Mobile (3) Pack Screen Protectors for your SANYO SCP-6650 KATANA II Phone in retail packaging! Bracketron Brand Pro-Tect Series is Anti-Glare and protects from scratches! Universal Mobile (3) Pack Screen Protectors for your RIM BLACKBERRY 6280 Phone in retail packaging! Bracketron Brand Pro-Tect Series is Anti-Glare and protects from scratches! Universal Mobile (3) Pack Screen Protectors for your RIM BLACKBERRY 5810 Phone in retail packaging! Bracketron Brand Pro-Tect Series is Anti-Glare and protects from scratches! Universal Mobile (3) Pack Screen Protectors for your DANGER Sidekick Phone in retail packaging! Bracketron Brand Pro-Tect Series is Anti-Glare and protects from scratches! Universal Mobile (3) Pack Screen Protectors for your BLACKBERRY Bold 9000 Phone in retail packaging! Bracketron Brand Pro-Tect Series is Anti-Glare and protects from scratches! Universal Mobile (3) Pack Screen Protectors for your BLACKBERRY 9500 Phone in retail packaging! Bracketron Brand Pro-Tect Series is Anti-Glare and protects from scratches! Quick Lock & Release Lever. 360 degree Rotating Head. Convenient 22.8 cm Length. Adjustable Wings Open Up to 4.5". Compatible with many of Today's Mobile Electronics. Easily Transferable from Vehicle to Vehicle. Universal Mobile (3) Pack Screen Protectors for your NOKIA 6236i Phone in retail packaging! Bracketron Brand Pro-Tect Series is Anti-Glare and protects from scratches!